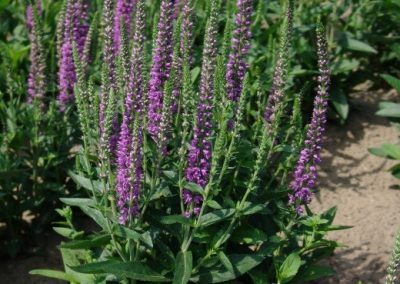 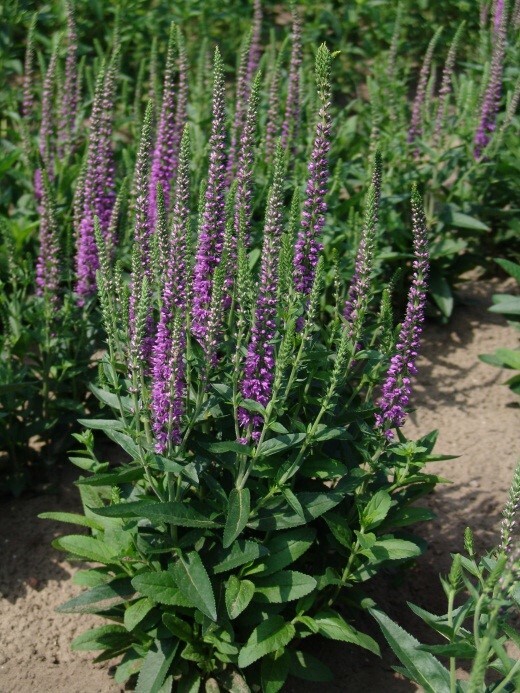 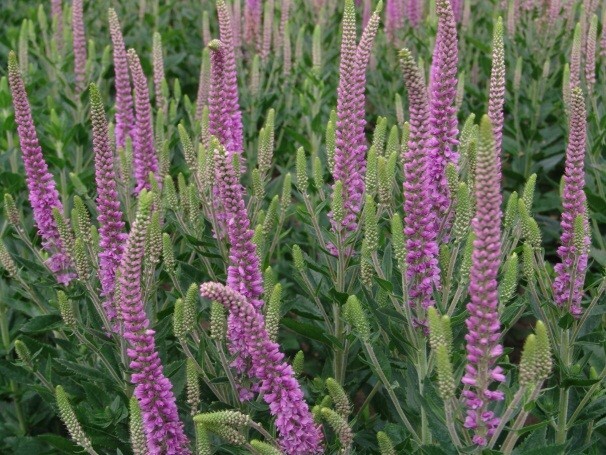 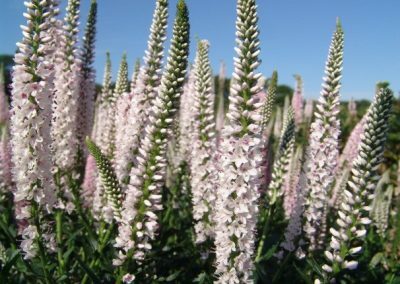 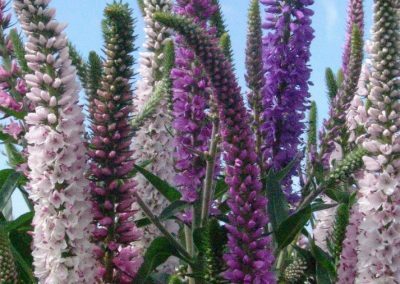 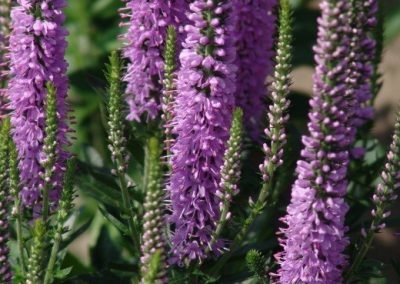 The Veronica spicata x longifolia ATOMIC RAY Series are available in seven varieties and a full colour range. 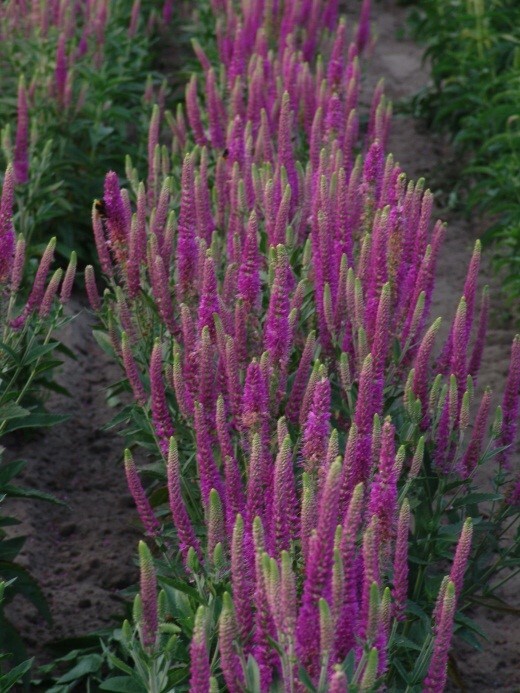 Atomic Amethyst Ray; Atomic Hot Pink Ray; Atomic Pink Ray; Atomic Pink-White Ray; Atomic Red Ray; Atomic Silvery Pink Ray; Atomic Sky Ray. 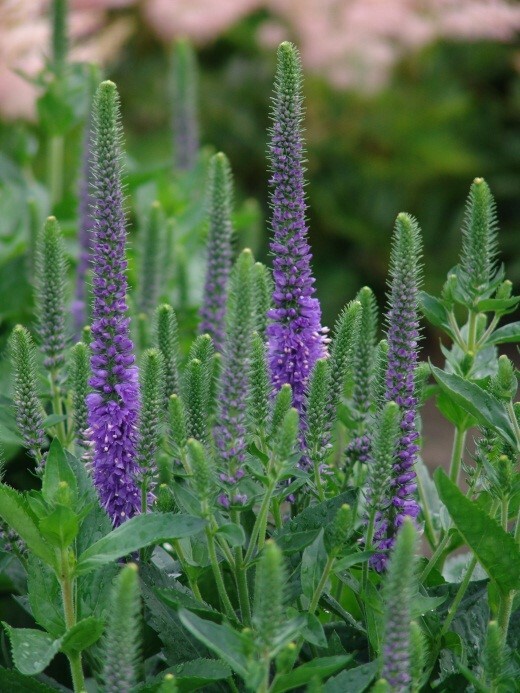 It is a surprisingly new Series in Veronica, nicely mounded and well branched. 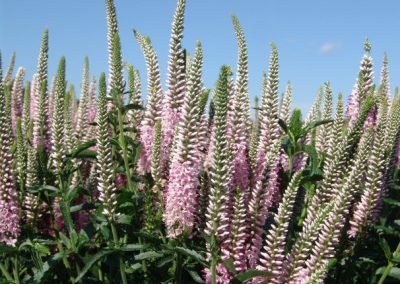 The tall and thick flower spikes show countless individual flowers. 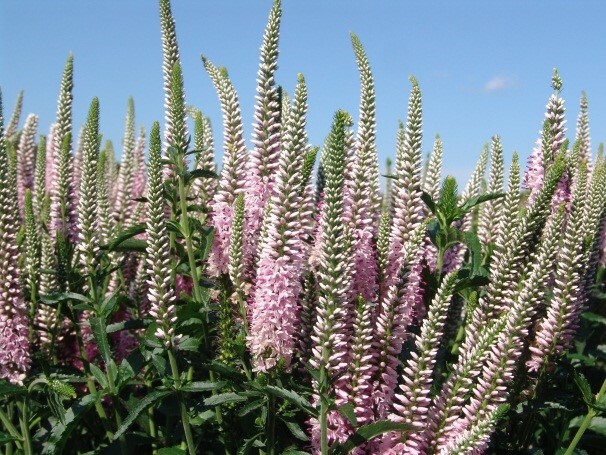 The 40cm long stems are extremely sturdy which makes this series an excellent cut flowers as well as a real attractive bouquet filler. 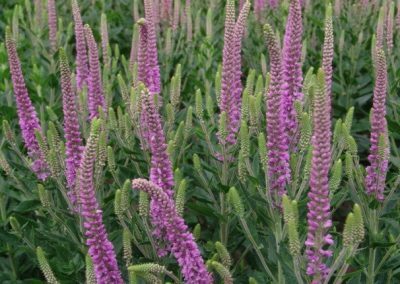 These outstanding, very floriferous, stem topping varieties, combined with the strong and dark green foliage are extremely showy. 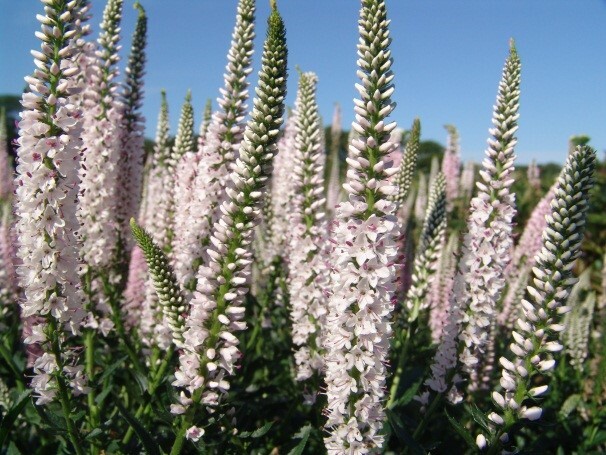 It are durable plants, bloomers which colours the garden from late Spring into early Autumn. 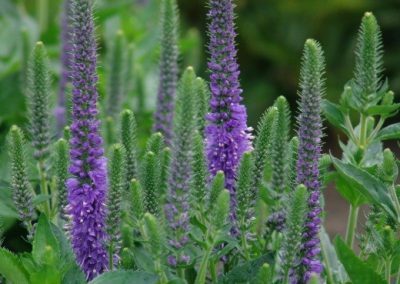 These thick-spike speedwells exhibit strong habits and excellent flower production throughout the season. 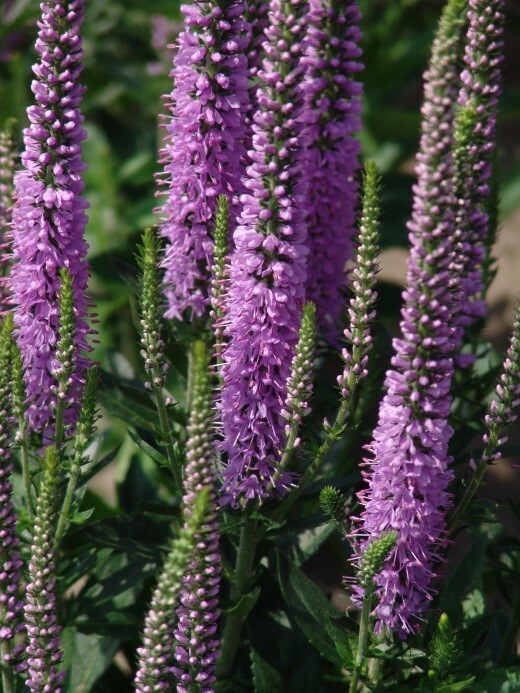 The floriferous nature of the Veronica spicata x longifolia Atomic Ray series is evident. 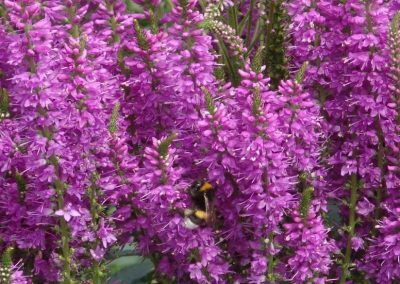 It attracts butterflies as well. 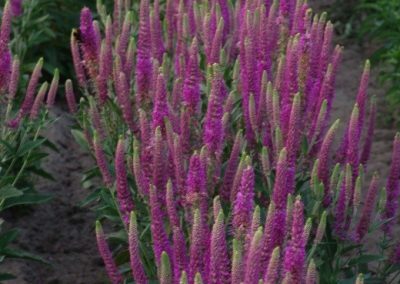 When deadheading(removing) the faded flower spikes, new flowers occur constantly.